Australian Institute of Health and Welfare. 2004 National Drug Strategy Household Survey: First Results. Canberra, Australia: AIHW; 2005. ABS. National Health Survey: Summary of Results. Canberra: Australian Bureau of Statistics; 2006. Roche AM, Bwood PT, Borlagdan J, et al. Young People and Alcohol: The Role of Culture Influences. Adelaide, Australia: National Centre for Education and Training on Addiction; 2007. National Drug Research Institute. Australian Alcohol Indicators, 1990-2001. http://ndri.curtin.edu.au/local/docs/pdf/naip/naipaaiexecsumm.pdf. Accessed June 2010. Goddard E. General Household Survey 2006: Smoking and Drinking Among Adults. London, England: Office for National Statistics; 2008. AIHW. 2004 National Drug Strategy Household Survey: Detailed Findings. Canberra, Australia: AIHW Drug Statistics Series 16; 2005. National Preventative Health Taskforce. Technical Report No 3, Preventing Alcohol-Related Harm in Australia: A Window of Opportunity. Canberra, Australia: Australian Government; 2008. AIHW. 2010 National Drug Strategy Household Survey report. Canberra: Australian Institute of Health and Welfare; 2011. Importance Increases in alcohol use in young women over recent decades are shown by national survey data but have yet to be replicated using prospective data. Objective To compare change in alcohol use over a generation of young women born in Australia from 1981 to 1983 at 21 years with that of their mothers at the same age. Design, Setting, and Participants Data came from the Mater University Study of Pregnancy, a prospective prebirth cohort study that recruited all pregnant mothers attending a hospital in Brisbane, Australia, from 1981 to 1983. The analyses were restricted to 1053 mothers who were aged 18 to 25 years of age at the baseline measurement and their daughters who were between the same ages when assessed 21 years later. Main Outcome and Measure Assessing the increase in the same prospective measures of 4 levels of alcohol use between mothers and daughters. Results Multinomial logistic regression for clustered data indicated daughters were at greater odds of consuming high (odds ratio [OR] = 5.68 [95% CI, 4.24-7.57]) and moderate (OR = 2.81 [95% CI, 2.18-3.63]) levels of alcohol than their mothers. Not having a dependent child roughly doubled the odds of all levels of drinking in both cohorts. Undertaking or completing tertiary education had no effect on consumption. There was an interaction between mothers’ or daughters’ drinking and partner status (χ23 = 12.56; P = .007); having a partner doubled the daughters’ odds of consuming high levels of alcohol (no partner: OR = 0.51 [95% CI, 0.31-0.80]) while the odds of drinking at the highest level were more than 5 times for mothers who were single (OR = 5.65 [95% CI, 2.99-12.35]). Conclusions and Relevance To our knowledge, we provide the first longitudinal evidence confirming that female alcohol use has dramatically increased over a generation, especially at higher levels of drinking. Later age at child bearing contributed to this increase and the relationship between alcohol use and having a partner was found to reverse alcohol consumption across the 2 generations. In this study, we assess generational changes in female alcohol consumption using data from an Australian birth cohort study. We address limitations from previous research by comparing equivalent measures of alcohol use assessed prospectively in mother-daughter dyads at comparable ages. We hypothesize that a generational increase in alcohol consumption will be reflected in increased drinking among female offspring compared with their mothers. If we find that the female offspring report higher alcohol use than their mothers decades later, then we can be more confident that there has been a generational increase in young female drinking in recent decades as previously suggested by national survey data. In addition, the cohort also provides a unique opportunity to investigate possible mechanisms for any increase,14 with previous studies suggesting that increases in female social standing, disposable incomes, and changes in social attitudes toward female drinking have partly driven such increases.2,13 We do so by examining effects of changing social and economic conditions of women over these 2 generations, including the effects of delayed child bearing, a later age of entering into committed relationships, and increased participation in tertiary education. The Mater University Study of Pregnancy is an Australian prebirth cohort study of women and their children. Between 1981 and 1983, all consecutive women who presented for their first antenatal visit at the Mater Misericordiae Hospital in Queensland, Australia, were enrolled in the study and followed up at birth, age 6 months, and 5, 14, and 21 years of age.15 The 3475 live singleton female babies (48%) born to these mothers constitute the Mater University Study of Pregnancy female birth cohort. At baseline, the mothers’ ages ranged between 14 and 46 years. At the 21-year follow-up, the offsprings’ ages ranged between 18 and 25 years. To match mothers and daughters by age, mothers who were younger than 18 and older than 25 years at birth (n = 1512; 44% of the female sample) were excluded; final analyses were conducted on 1053 matched pairs whose mothers were between 18 and 25 years old at baseline (54% of the eligible mother-daughter dyads) and for whom we had complete data on all variables of interest (Figure 1). Written informed consent was gained from all participants, all data was coded for confidentiality, and approval was obtained from the University of Queensland and Mater Misericordiae Hospital institutional ethics committees. At baseline when women were, on average, at 18 weeks of gestation, maternal reports of quantity and frequency of alcohol consumption prior to recognition of pregnancy were obtained. Women were asked how often they had consumed alcohol before they became pregnant (prompts were daily, a few times a week, a few times a month, a few times a year, rarely, and never) and how much alcohol they had drunk at those times (0 glasses, <1 glass, 1-2 glasses, 3-4 glasses, 5-6 glasses, or ≤7 glasses). Identical questions were administered to their offspring 21 years later except daughters were not asked in relation to drinking prior to pregnancy. For mothers and daughters, we multiplied scores of frequency of drinking (0, <1, 4, 10, or 30 days in a month) by the average number of glasses consumed at each occasion (0, 1.5, 3.5, 5.5, or 7.5 glasses) and categorized the product into no alcohol, up to 6 glasses a month, up to 30 glasses a month, or more than 30 glasses a month. We used these measures to compare mothers’ and daughters’ patterns of alcohol use. Our study design of mother-daughter dyads inherently controlled for shared familial and genetic factors, which may impact alcohol use. We also adjusted for social and economic factors, which the literature1,2,12 suggests may partly explain any generational increase in alcohol consumption by women. These included maternal and offspring tertiary education (yes or no), partnership status (single, widowed, separated or defacto, married, or living together), and having a dependent child prior to the measurement of alcohol (≤1 child or no child). First, we graphically assessed the average change in 3 levels of alcohol use between mothers and daughters. Next, we tested for univariate associations between drinking categories and the social and economic factors using χ2 tests, separately for mothers and daughters. To measure the generational increase in alcohol use, we used multinomial logistic regression for correlated responses. Confidence intervals for the parameter estimates were obtained from 1000 bootstrapped samples as demonstrated by de Rooij and Worku16 using SAS software (SAS Institute Inc). This marginal model treats mothers’ and daughters’ drinking in addition to the social and economic factors as repeated measures of the same unit of observation. This is a useful alternative to a generalized estimating equation approach, which is unable to correct for within-subject correlation when estimating repeated multinominal (κ > 2) responses. We then adjusted for the 3 social and economic factors by entering them, first as main effects, and then as interaction terms with the cluster variable. Finally, loss to follow-up was examined with a logistic regression comparing the characteristics of individuals still in the analysis with those lost to the study. Figure 2 compares the increase in 4 levels of alcohol use between the 2 generations of women in our sample. Overall drinking levels increased across the 2 generations. Mothers were more than twice as likely to not drink and daughters were almost 3 times more likely to drink at the highest level. Table 1 shows that rates of tertiary education increased in the daughters’ generation, while only 16% of the daughters had a dependent child compared with 47% of the mothers. Rates of partnership almost reversed between the 2 generations; 88% of mothers had a partner at baseline while only 30% of daughters did so at the 21-year follow-up. Participation in tertiary education did not predict level of drinking in either generation whereas not having a dependent child was associated with greater levels of drinking in both cohorts. There was suggestion of an interaction between mother and daughter drinking levels and partner status; having a partner was protective against drinking for the mothers but a risk factor for the daughters. Table 2 shows the unadjusted and adjusted results from the multinomial logistic regression with bootstrapped standard errors for the clustered response. Daughters had greater odds of consuming high (odds ratio [OR] = 5.68 [95% CI, 4.24-7.57]) and moderate (OR = 2.81 [95% CI, 2.18-3.63]) levels of alcohol than their mothers. After adjustment, these effect sizes were attenuated but remained significant for both high (OR = 2.80 [95% CI, 1.97-3.92]) and moderate (OR = 1.66 [95% CI, 1.20-2.27]) drinking levels. Not having a dependent child doubled the odds of increased alcohol use in both younger and older cohorts but education had no effect on drinking levels. Not having a partner increased the risk of moderate and high levels of drinking by 1.7 and 2.7 times, respectively. We found an interaction of mother and daughter drinking levels with partner status (χ23 = 12.256; P = .007). Daughters with no partners had almost half the odds (OR = 0.51 [95% CI, 0.31-0.80]) of drinking at the highest level of alcohol compared with daughters with partners while mothers who were single had more than 5 times the odds (OR = 5.65 [95% CI, 2.99-12.34]) of drinking at the highest level compared with mothers with partners. Table 3 presents the results from the attrition analysis. Mothers excluded from the analysis were more likely to have undertaken tertiary education and were less likely to be single. However, there were no differences in rates of having a dependent child between the 2 groups of mothers, and the 2 groups did not differ in levels of alcohol use. This study provides unique evidence that alcohol use among women in Australia has increased during the past 3 decades and that the dramatic increase observed between 2 generations of women was more pronounced at higher levels of drinking. Daughters between 18 and 25 years of age had more than 5 times the odds of consuming the highest recorded level of alcohol (more than 30 glasses of alcohol per month) and 2.7 times the odds of consuming the next highest level of alcohol (between 7 and 30 glasses per month) than their mothers at the same age. Suggestions of an increase in drinking among younger women have come from national surveys in Western countries.1,7,8,14,17 Though our measures were not the same as those used in national surveys,18,19 the large increase we found raises the possibility that risky drinking by young women, as defined in these studies, may have followed a similar rise over the last generation and, hence, be even greater than the increases reported by national surveys. Future research is urgently needed to confirm the possibility that the recent increase in female drinking in wealthy countries is perhaps higher than previously thought. We also found that for mothers, being in a committed relationship predicted lower levels of alcohol use, but for the daughters it predicted higher levels of alcohol use. This means that single status was associated with an elevated risk of drinking among mothers but not among daughters. This may be expected since the mothers were selectively sampled on the basis of being pregnant while the daughters were not. Furthermore, we could not account for the level of commitment within the relationship and it is likely that mothers, who were recruited when pregnant, were more strongly committed to form a family, which would in itself influence their attitudes toward alcohol consumption. Nevertheless, the strength of the interaction we found suggests this explanation alone is unlikely to fully account for this finding and it may point to broader changes in the gender roles within relationships over recent decades.20 Although findings from the 2007 Australian National Survey of Mental Health and Wellbeing suggest that married people in general are less likely to have alcohol abuse or dependence disorders,21 evidence from the international GENACIS project found that cohabitation was associated with a strong increase in alcohol use among young women.22 Future research should explore how social changes have altered the gender roles for young women within relationships in ways that allow them to drink much more alcohol than was acceptable in their mothers’ generation. Lastly, it is worth noting the likely role of aggressive marketing campaigns by the alcohol industry that have increasingly targeted young women9,23,24 by producing sweeter alcoholic beverages (alcopops) that specifically appeal to women drinkers. 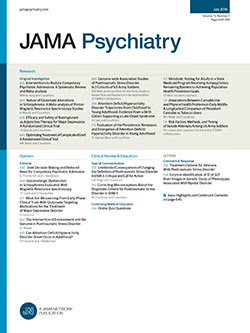 These changes have occurred in a social environment in which alcohol regulation has been liberalized and enforcement reduced, allowing readier access to much cheaper alcohol than was available to women in previous generations.17 A better understanding of the interrelationships between these policy changes and social processes influencing women’s drinking may improve the effectiveness of interventions designed to reduce young women’s risky alcohol use. By capitalizing on the generational change in alcohol use across mothers and daughters, our novel, robust method allowed us to detect a sizable and concerning rise in alcohol use across age cohorts and infer the magnitude of changes in the prevalence of alcohol consumption among 2 generations of young women with greater confidence than any previous studies to our knowledge.17 Our analysis was based on an Australian birth cohort study; however, our findings are likely to be generalizable to populations where similar drinking patterns are reported and, therefore, very relevant to most Western countries where increases in young female drinking have been observed in recent decades.1,2,8,9 In addition, this is also the first longitudinal study, to our knowledge, to suggest possible mechanisms driving the increase in alcohol consumption found in recent cohorts of young women. Previous investigations have compared aggregate alcohol-consumption levels across repeated cross-sectional national surveys within a single country or among national surveys of many countries. These studies have attempted to predict gender differences in alcohol use from societal-level measures of social norms,25 employment, income,26 and indicators of changing female social status.12,27 However, our study is the first, to our knowledge, to explain the increase in female alcohol use during 2 generations in a single prospective sample of mothers and daughters. Our study also has limitations. First, mothers were recruited while pregnant while daughters were recruited because they were the biological children of mothers in our study. Therefore, the 2 sample groups were in different situations when asked about their alcohol use, making it difficult to separate the observed increase in alcohol contributed by the generation effect from that contributed by the situation effect. These differences may have affected individuals’ levels of alcohol use and truthfulness in reporting it. However, the mothers were asked how much they were currently drinking and how much they had drunk before becoming aware of their pregnancy. We found mothers’ reports of alcohol consumption prior to becoming pregnant were considerably greater than those reported during pregnancy. This suggests that the mothers clearly understood the importance of the timing of alcohol use (results available from K.S.B.). Second, changing social attitudes toward female alcohol use may have affected the truthfulness in self-reporting alcohol use across the 2 generations. As with other studies,14,24 the degree to which this is reflected in our effect estimates is not testable. The effect of these limitations may have led to some degree of overestimation of the increase in daughters’ drinking compared with their mothers. However, we adjusted for partnership status and having a dependent child, which attenuated the effect estimates, suggesting we successfully accounted for part of this potential overestimation. Furthermore, the alcohol content of many beverages in Australia, particularly wine, has increased in recent decades.28 Thus, considering we measured alcohol as the average number of glasses consumed, it is likely that a glass in the daughters cohort contained a higher percentage of alcohol than in the mothers cohort; this may have led to some degree of underestimation of the true generational increase. Third, because the mothers were pregnant, their employment status was not a good indicator of their occupation. They were asked about their family income while daughters were asked about their personal income. This meant that we were not able to assess how generational changes in employment and income-affected patterns of alcohol use in mothers and their daughters. Also, our study was not able to make similar comparisons of changes in drinking between fathers and sons. It is likely that sons have also increased their alcohol use compared with their fathers but this awaits confirmation in further research. Fourth, there was loss to follow-up in our study, which is common to many long-term prebirth cohort studies. However, our findings may not be substantively biased by attrition because there were no significant differences between those included in the alcohol use analyses and those lost to follow-up. Lastly, we have discussed our findings of the increase in alcohol use among young women as a period effect, assuming alcohol use has similarly increased among cohorts contiguous to daughters. However, it is possible that the generational increase we found was specific to the cohort of daughters under study (born between 1981 and 1984) and future longitudinal studies with cohorts of young women born after our study are needed to confirm the increase represents a period effect. In summary, this study provides strong evidence for a large increase in young female drinking during recent decades, as reflected in the drinking of mothers and their female offspring in their early 20s. International research is urgently needed to confirm what we suspect is a trend, which may have been underestimated in many Western countries. It may be time for more aggressive antialcohol programs aimed at young women. Corresponding Author: Kim S. Betts, MPH, School of Population Health, The University of Queensland, 4th Floor, Public Health Bldg, Herston Road, Herston, Queensland 4006, Australia (kim.betts@uqconnect.edu.au). Published Online: June 25, 2014. doi:10.1001/jamapsychiatry.2014.513. Author Contributions: Mr Betts and Dr Alati had full access to all of the data in the study and take responsibility for the integrity of the data and the accuracy of the data analysis. Study concept and design: Alati, Betts, Williams. Drafting of the manuscript: Alati, Betts, Williams. Statistical analysis: Betts, Williams, Najman. Administrative, technical, or material support: Williams, Najman, Hall. Funding/Support: This study was funded by the National Health and Medical Research Council. Dr Arati is funded by an APP1012485 Level 2 Career Development Award in Population Health from the National Health and Medical Research Council. Dr Hall is funded by a 2009-2013 Australia Fellowship from the National Health and Medical Research Council. Additional Contributions: We thank the Mater University Study of Pregnancy team and participants, the Mater Misericordiae Hospital, and the Schools of Social Science, Population Health, and Medicine at University of Queensland.